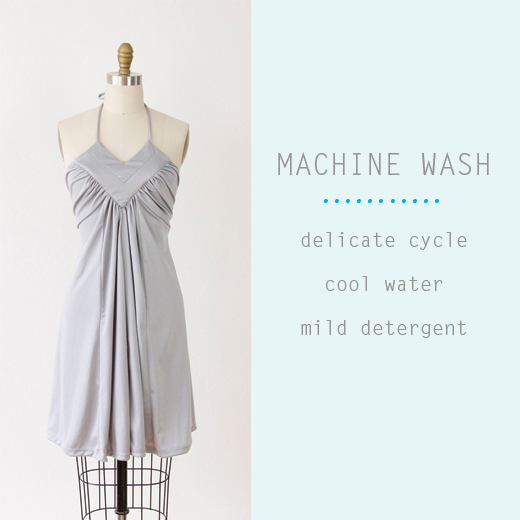 We sell a lot of poly knit dresses in our online shop and I would say that they are the most forgiving when it comes to cleaning, so I thought it best to start our "How to Clean Vintage Clothing" series here. I figure most people are familiar with polyester fabric, but if you aren't sure and the dress does not have a label, you can usually recognize it by the fact that it doesn't wrinkle. Ball it up in your hand and release, no wrinkles? It's probably poly! 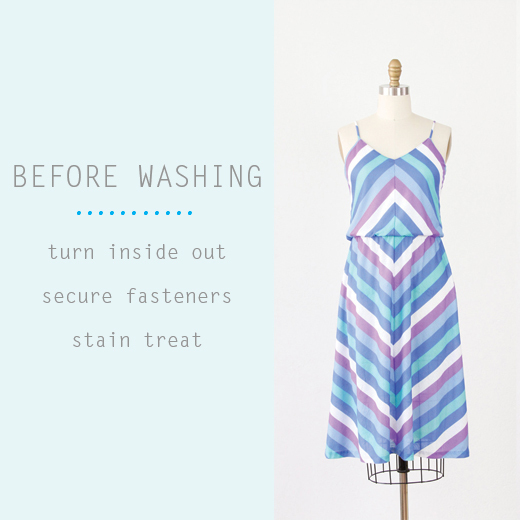 These cleaning instructions apply to poly/cotton and poly/rayon blends as well. 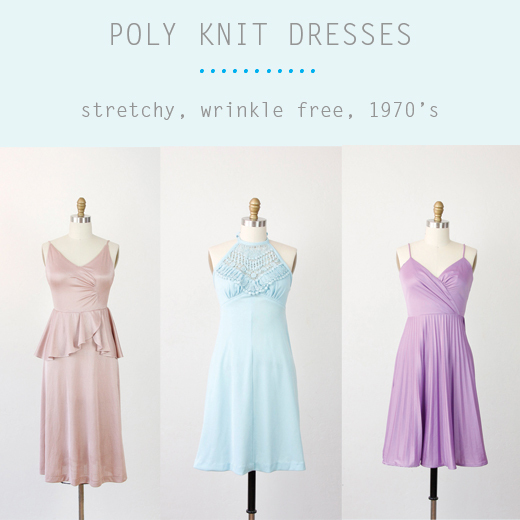 All of the dresses shown in this post are poly knit and are available in our shop. 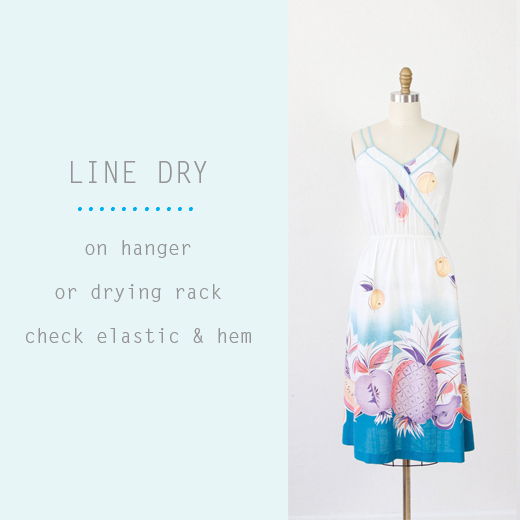 Note: In the last image, I suggest checking the elastic and hem...that is because often times the elastic will lose it's stretchiness over time and thread will break down, so before you hang it in your closet, you may need a quick trip to the seamstress. If you have bought a dress from our shop, this step has already been done, at least 50% of our dresses with elastic waists have been replaced. Well there you go, I hope you feel a little more confident about cleaning your vintage poly knit dresses. I'll have more tricks and tips soon! Great tips! I'm very excited about this new series. Thanks for sharing, Beth. This so helpful, you have no idea how unsure I was about cleaning vintage clothing! I was wondering what you use to stain treat? Thanks!